I’ve seen recently that many operators and retailers are selling new flagship smartphones with small Polaroid or similar printers. This is actually great idea since not many photos get to see the daylight, and are usually buried somewhere on the disc or cloud space. 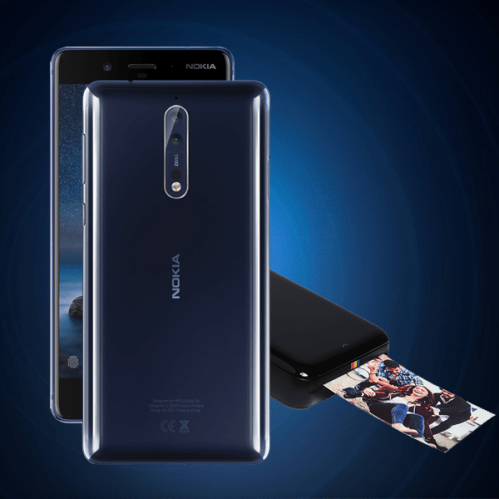 Our dear Irish friends from TechbuzzIreland has told us that Irish Vodafone is selling Nokia 8 together with portable Polaroid printer, and the offer stands till January 31. You can get the 8 trough various plans with prices varying between, €40 and €80. Well, this would be great news if DoXoMark haven’t graded Nokia 8 camera as mediocre one. But obviously the real photo test often show different result. Nokia 8 can produce great photos and HMD will probably further improve the algorithms that are mostly responsible for great photos, beside camera lenses and sensor. If you are in Ireland and interested in this offer, check out Vodafone offer.